Summer picnics, camping trips or just backyard fun can be hampered by those pesky mosquitos, gnats and other biting insects. Commercial bug spray is loaded with nasty chemicals that you really should be trying to avoid, especially with children. I've made a natural insect repellent that will keep the bugs away without the artificial chemicals. 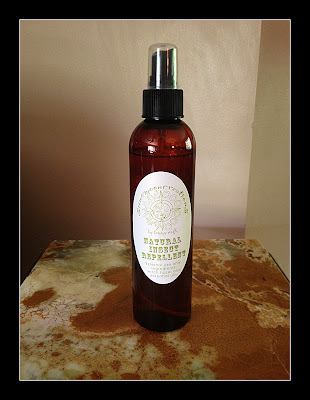 This insect repellent is made with witch hazel and natural essential oils, nothing else! At just $6 per 8-ounce bottle the price is affordable. Digging for gold….Yukon Golds that is.